Seven-time Wimbledon champion Roger Federer is healthy again and looking forward to the grass-court season. 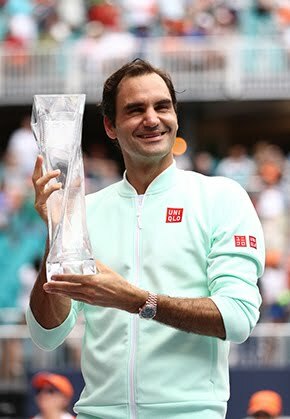 Federer, who pulled out of Roland Garros because of a back injury, was rehabbing and making sure he'd be healthy for a strong grass-court campaign. On Sunday, he said withdrawing from the Grand Slam was the right move. Federer, 34, had played at Roland Garros every year since 1998. Missing the tournament was emotional at first, he said, but he knew that skipping it this year would be the right move for the long run. “It was much better for me to look forward to the rest of the season, rest of my life, really. I didn't want to have setback after setback and injure myself maybe further,” Federer said. “In hindsight, that was definitely the right decision. At the Mercedes Cup in Germany, Federer will join other Top 20 players, including Marin Cilic, Dominic Thiem and Gilles Simon. The World No. 3 is eager to finally play in a tournament again. 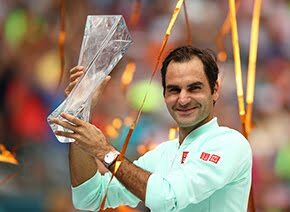 Federer has played in only four tournaments this year, including two since the Australian Open. He underwent knee surgery in February and has had to withdraw from other events because of a stomach virus and his aching back. “It hasn't been a great year for me so far. I was only able to play one tournament at full strength, the Australian Open. Since then injuries has kept bothering me. “But every time I play on grass I have high expectations. With the season I am having I have to be careful preparing myself and with how high my expectations are. “It will be a good week when I get on the court and play a match. 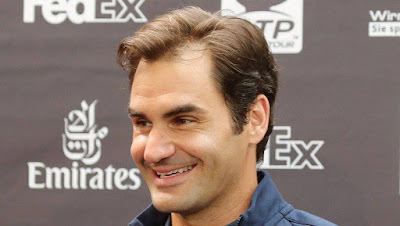 A great week would be the semi-finals and a dream run would be to win,” Federer added. One of the all-time best grass-court players should feel at home in Stuttgart. The tournament switched from clay to grass last year. Federer will be playing in the event for the first time. Federer receives a first-round bye and is scheduled to play Taylor Fritz or a qualifier in the second round.